Rarely available! 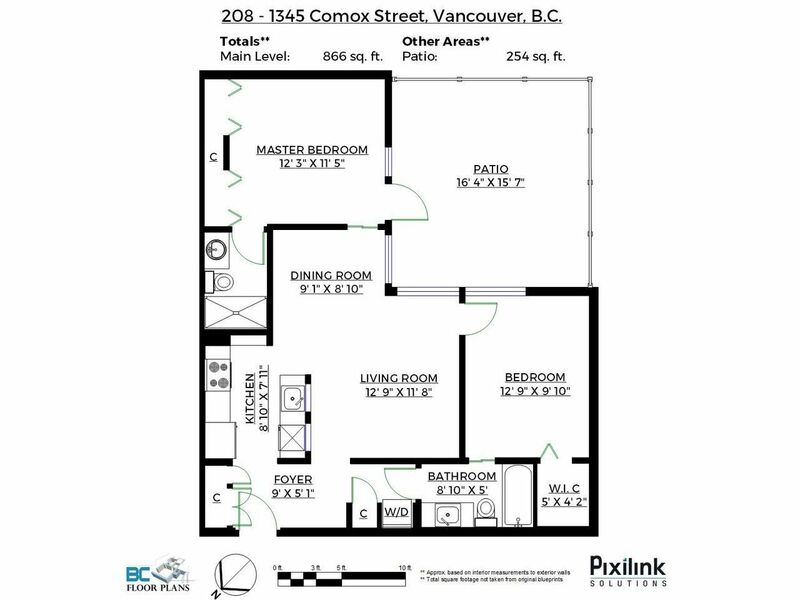 Stunning 2 bdrm/2 bath corner unit with an massive 250sf private fenced patio. Bright & airy corner unit with open concept living/dining/kitchen and only 1 common wall! All principal rooms face the sunny south facing patio and feature high end updates throughout: Reclaimed hardwood floors, Italian tiles, granite counters, crown mouldings, custom built-ins, insuite laundry & dual rain-head showers. PETS OK, RENTALS allowed with restrictions, U/G parking, visitor parking & storage locker. Just steps to the seawall, English Bay, Stanley Park, & all the great amenities on Davie, Denman & Robson.